After the sudden death of her family, firearms heiress Sarah Winchester (Helen Mirren) becomes convinced that she's haunted by the souls of those killed by guns. Winchester then decides to build an enormous mansion that's designed to keep the evil spirits at bay. When skeptical psychiatrist Eric Price (Jason Clarke) visits the estate to evaluate her state of mind, he soon discovers that her obsession may not be so far-fetched after all. PETER SPIERIG is one half the Writing / Directing team known as THE SPIERIG BROTHERS. 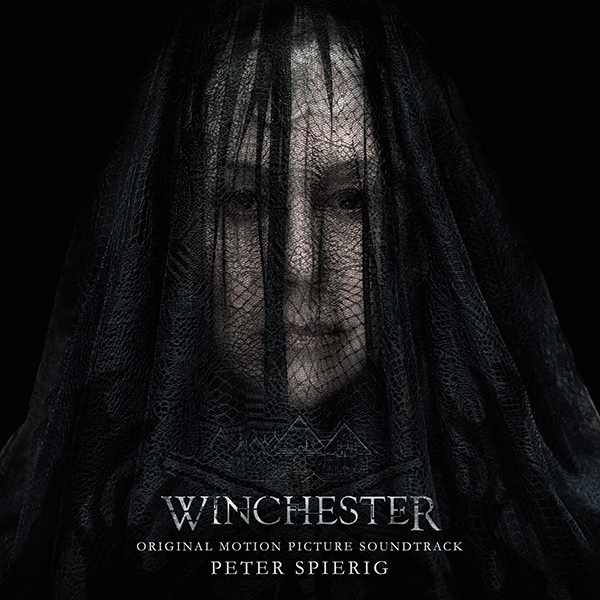 WINCHESTER marks the second feature film score for Peter Spierig. The brothers, Peter and Michael, are German-born Australian film directors, writers and producers who have shared prestigious nominations and awards for their collaborative work. Their critically acclaimed sci-fi thriller PREDESTINATION, based on Robert A. Heinlein’s short story “All You Zombies”, was nominated for nine Australian Academy of Cinema and Television Arts (AACTA) Awards, including Best Director, Best Adapted Screenplay, and Best Score for Peter. The film also won four AACTA Awards including Best Actress for Sarah Snook, who stars in WINCHESTER. The Spierig Brothers won the Toronto After Dark Film Festival Special Award for Best Sci-Fi Film and Best Screenplay for Predestination, which also took a second place Audience Award for Best Feature Film. They were the recipients of the Australian Writer’s Guild John Hinde Award for Best Science Fiction Screenwriting and were nominated by the Australian Film Critics Association (AFCA) for Best Director and Best Adapted Screenplay.